I ran Gull 98 almost exclusively for a number of years and never had any issues. That was back when I brought the car and I have had it almost 10 years now. The chat about fuel lines etc was mainly better safe than sorry warranty backside covering by Subaru (and most car companys) I think. If the WRX is legal and squared away I will be at the track. If not I will come for lunch, visit family and drop in for the track day. Just waiting for my schedule to firm up but if im in NZ I will be there. Excited as always for MM!! I have put in plenty of laps there with the 1/2 litre extra oil and had no issues even on Semi slicks. Does seem to claim the odd Subi but I always wondered about its reputation as a Subi killer tbh. Enjoy your time, it will be a blast im sure. Its really weird when I think about it because everything else is serviced and changed probably too regularly. Its just something I have overlooked now I think about it. And if I remember right its a prick of a job. 220 seems a bit soft for that sort of HP. You sure you were doing it right? Next year 24 categories, 16 months to get photos in, rework a year to 24 months to accommodate. C'mon Ray, up your game mate, theirs millions of guys who want to do it!!!!! Lol I got used to it. But I must admit my hand is a bit sore after a day on the track with it, but then going back to stock doesnt feel right anymore. 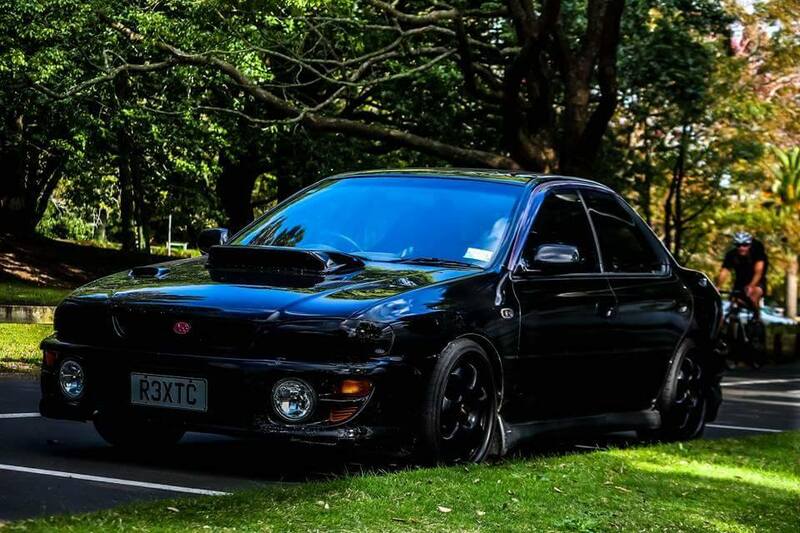 I have similar to this but a genuine STI one... It took a bit of getting used to as its not exactly smooth on its edges. There machined smooth but kind of have a hard edge on the top and around the sides but I dont think I would change it now. Taupo or Manfield get my votes for track location. Taupo for its general location and Manfield for its track. With me missing Mega Meet and Flatnats due to family commitments I am in with bells on for the CS 21st. I gotta be honest all the chat in here aside no ones ever going to convince me a remote tune is as good as a car on a dyno with someone who understands what there looking at tuning at. I also obviously got a sick deal as I paid about the same as a stage 2 tune for my complete tune (Dyno), tidy up road tune and some minor works while on the dyno that was affecting the tune. Shop around team. I havent personally but I would suggest the extra outlay to take it to hands on tuner would probably be worth it for something as specialized as that? The ability for someone to be hands on and trouble shoot issues seems like a fairly key component to me.